Camberwell Arts, Camberwell College of Arts and South London Gallery are marshalling local talent and mounting the annual Camberwell Arts Festival which runs from tomorrow to next Sunday, 24 June. Camberwell Arts Festival is all about the artistic activity in the area - and judging by the enormous festival programme, there's clearly a lot of it about. SE5 isn't the hottest of spots in London the rest of the year but for the next week, it's a pretty happening place. With events overlapping with Architecture Week, Refugee Week and Love Parks Week, Camberwell Arts Festival is very, very crowded - things that caught our eye and made us re-think our decision to avoid that part of torn include the chance to do your laundry while stories are swapped and aired in Service Wash Tales, a Citizenship Test for the Full English Breakfast in Mem Morrison's performance piece Leftovers in a local greasy spoon (breakfast is included in the ticket price), international music and dance from the refugee community in Camberwell Live! , rough cricket / French cricket / petanque / parachutes / introductions to wildlife in the Green Spaces events and the chance to snoop around some artists' studios in the Open Studios programme. Events are spread out over the Camberwell area and spread out over the week. Most events are free and you can just turn up, some events are free but require booking and a definite start time, some events are ticketed and will require you to put your hand to your wallet. It all sounds like jolly good fun - let us know what you got up to and what we should be seeing and doing. 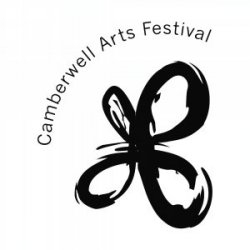 Camberwell Arts Festival, Saturday 16 June to Sunday 24 June. For more information and for the full programme, go to the festival website here.